Transportation Services to Iberostar Resort Rose Hall, Montego Bay can be arrange with Jamaica Airport Transfer, One of the things that is very unique about our services is that we also offer a return journey from your hotel or villa back to the airport in Jamaica. We also offer tours and fun adventures with private transportation for singles, couples, families and groups. When it comes to getting the most professional Transportation from Montego Bay airport to Iberostar, nobody does it better than Jamaica Airport Transfer for taxi private transportation service in Jamaica. 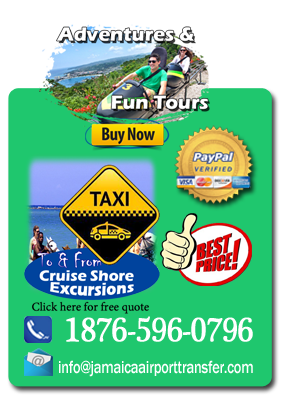 Book a Airport to hotel transfer service in Jamaica with us today! Book your Transportation from Montego Bay airport to Iberostar and we will guarantee you a stress free vacation, imagine all your transfers pre-arranged for your convenience.You have the option of booking One Way or Round Trip Transfer.